Sunny Isles Beach. 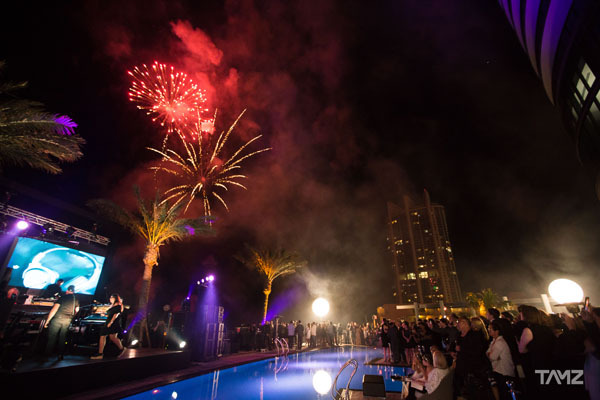 Dezer Development and The Porsche Design Group (Porsche Lizenz- und Handelsgesellschaft mbH & Co. KG), Stuttgart, kicked off the official grand opening of its new Porsche Design Tower Miami with a fireworks-spectacular on Saturday night, March 18th, in Sunny Isles Beach, dazzling a crowd of over 1,000 guests. The landmark project represents the brand’s first foray into residential real estate and reflects Porsche Design’s hallmarks of functional design, technical innovation, forward-thinking and iconic style. 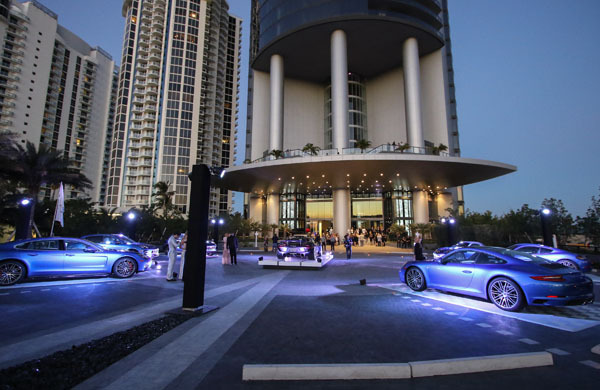 Guests received an exclusive glimpse into the world of preeminent features, refined design, and innovative technology present at Porsche Design Tower Miami, including special access to the tower’s private oceanfront restaurant [FUEL], state-of-the-art spa equipped with Vichy showers, a Sunset Terrace complemented with twin over-sized spa tubs, an oceanfront ballroom, multipurpose clubrooms, which include a movie theatre featuring new release capability, and game room complete with golf and racing simulators. 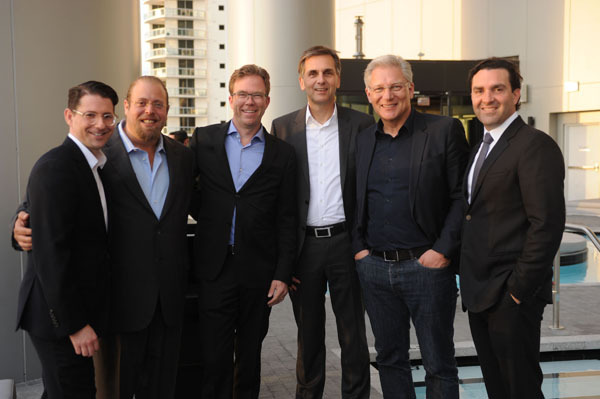 “We are very proud to celebrate the Grand Opening of the Porsche Design Tower Miami together with our partner Gil Dezer,” says Jan Becker, CEO of Porsche Design Group. 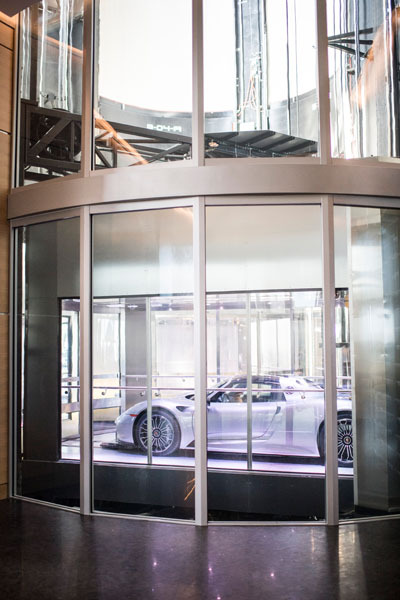 Undeniably striking from the outside, the 60-story tower’s most unique feature is a patented, revolutionary automobile elevator-lift-system – “the Dezervator” – that whisks both residents and their vehicles up to their chic home in the sky. 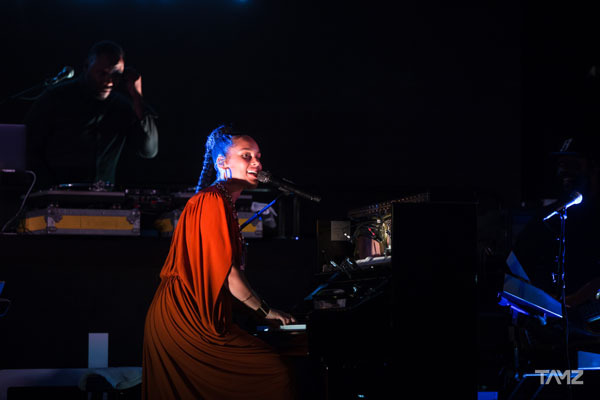 The momentous evening commenced with an electrifying, surprise performance by 15-time Grammy-Award-Winning artist, Alicia Keys, highlighting the unrivalled lifestyle at Porsche Design Tower Miami. Other evening highlights included glowing base jumpers leaping off the tower, synchronized swimmers, and a 20-minute long dazzling fireworks show. 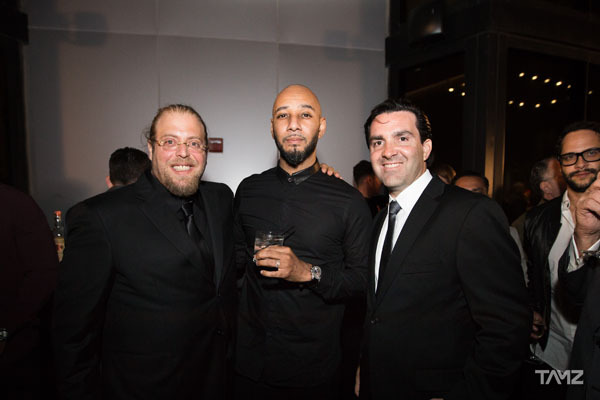 Notable international guests joined Porsche Design Tower Miami residents, local city officials, and Miami’s top brokers and influencers to celebrate the inauguration of the tower. With its estimated sellout of about $840 million, 127 of the tower’s 132 units have been sold. Of the five remaining units, one is a 19,403 square foot penthouse listed at $32.5 million. 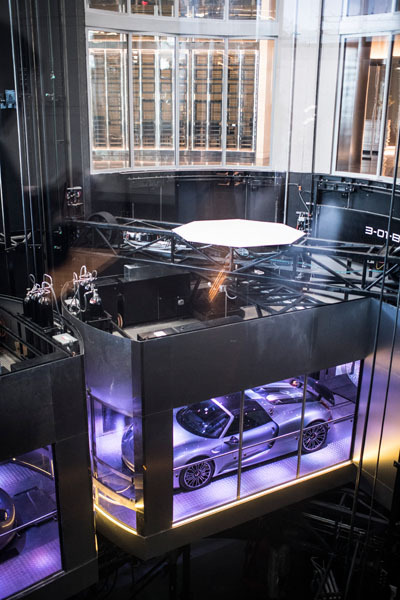 This extraordinary four-story penthouse has space for up to 11 vehicles, all soaring 56 stories high in the sky. Founded in 1972 by F.A. 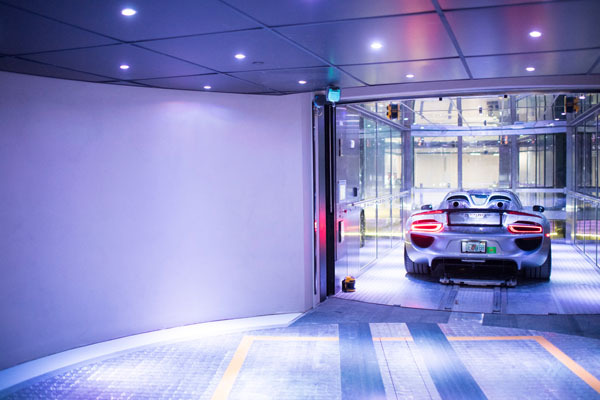 Porsche, whose products are synonymous with functionality and purist design, the brand’s product portfolio includes classic men’s accessories, a sports and fashion collection, electronic products as well as a men’s fragrance line. 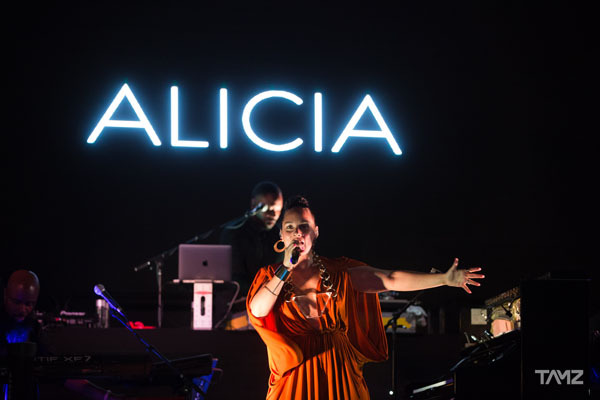 The products are designed in the Porsche Design Studio in Zell am See, Austria and sold around the world in the company’s own stores, shop-in-shops, high-end department stores and exclusive specialist retailers. 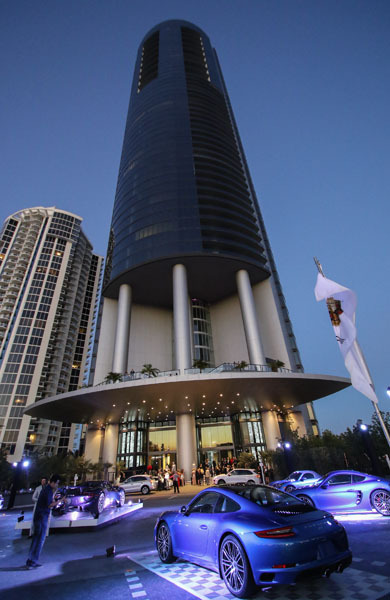 For additional information about Porsche Design Tower Miami, visit www.porsche-design.com/towermiami. Dezer Signature Brands an entity of Dezer Development, has a master licensing agreement with Porsche Design. Dezer Signature Brands specializes in co-developing luxury high rise residential and condo-hotel developments with marquee lifestyle brands. The company partners with prestigious globally-recognized brands to develop unique condominiums at some of best addresses in the world. 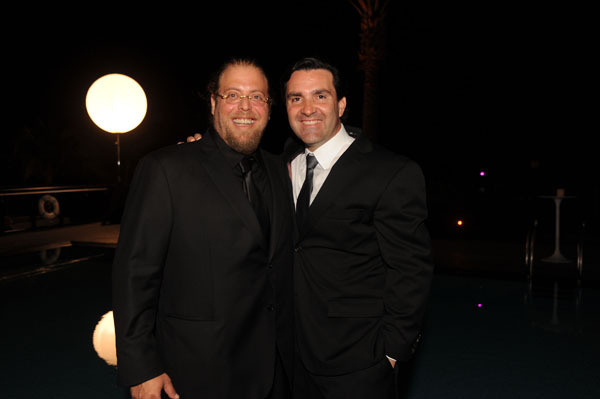 Gil Dezer, owner of Dezer Signature Brands, is one of South Florida’s most accomplished businessmen and also one of the largest oceanfront property owners in Sunny Isles Beach. 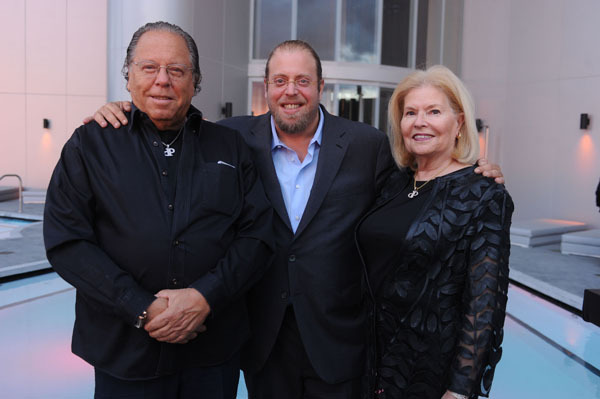 The Dezers own just over 27 acres of prime oceanfront property including 2,100 feet of beachfront between 158th Street to 191st Street along Collins Avenue, arguably one of the largest holdings of beachfront property owned and developable in the state of Florida. For additional information, please visit www.dezerdevelopment.com.